It is no secret that Instagram has taken the art of using hashtags to a whole new level. While Twitter used it as a link to put certain tweets (and hence news) together, and Facebook followed suite, Instagram has done a totally different one. 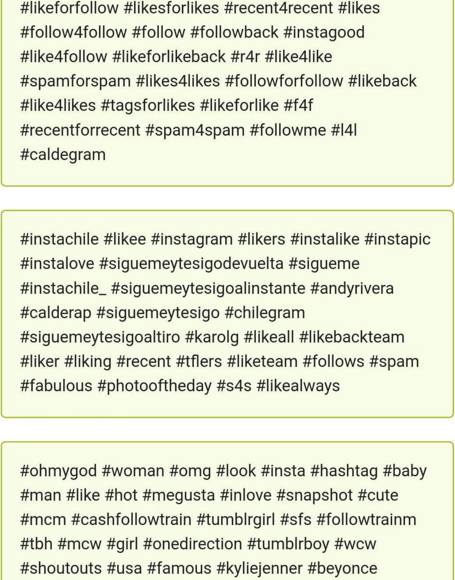 All you have to do is tag your picture with some hashtags, and see the bots click and like your photo like flies to honey. Yeah, sadly it is as simple as that. However, it must be noted that often these bots will be got rid of through Instagram, and your likes may disappear with them. Interestingly, many websites exist that tell you the hashtags to use, and many others will also tell you that you really shouldn’t. However, the simple fact of the matter is, it works. For example, last year, I tested this theory. I put the picture above on my Instagram feed. I instantly got over 40 likes, and none of those were my contacts. I also got a few follows and such like. Sadly, some of them disappeared, while others remain. Instagram itself does not like bots, but its policies only make it clear that it is not allowed if the account itself is created through an automatic service. If your account is genuine, but you allow it to run bots, the policies don’t say much. So, there you have it. Hungry for likes? Use Hashtags with your pictures. You will get plenty. But they don’t count to anything. So, what is the real way to do this? Simple, post cool photos, share them on your Facebook and Twitter, and follow other cool people. Next story Frank Green – Giving you the smart way to coffee!